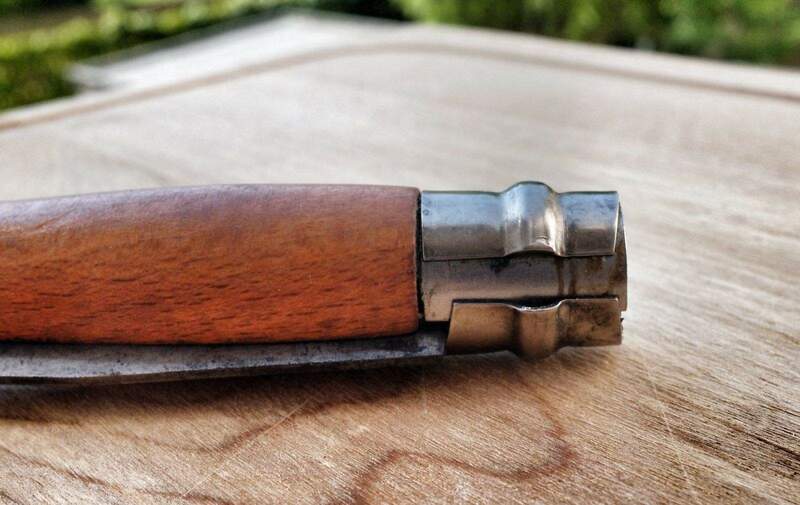 The Opinel No8 is hardly a new gadget, but when something is this good, why change it? I’ve been using the wood-handled French pocket knives for around 12 years since I was given a carbon steel No8 as a gift. That knife is still in daily use, and has since been joined by several others, including one made for children (more on that in a bit). I even have a tiny No3 that I use for sharpening pencils. Why am I writing about a 120-year-old knife on the Cult of Mac? Because age doesn’t matter when something is this well-designed. Also, I figure if you’re a fan of Apple gear you will appreciate good design wherever you find it. 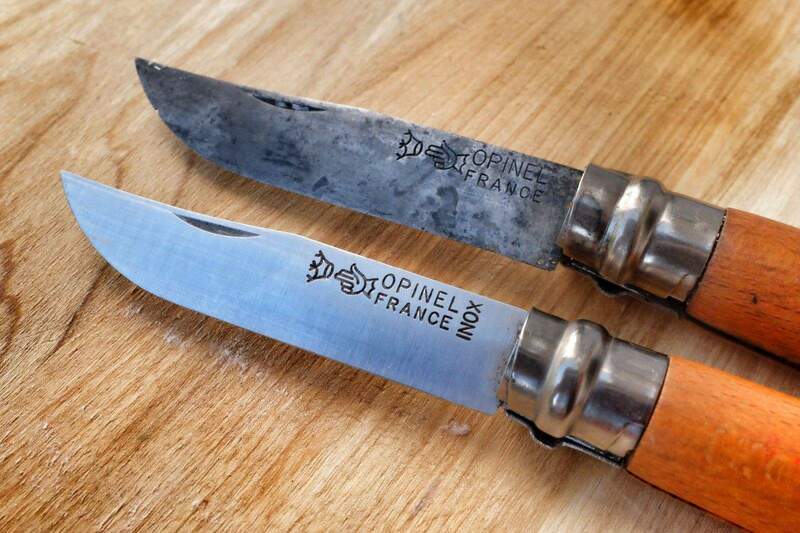 The Opinel knives work on the “one thing well” principle. It’s not a multitool, nor does it have multiple blades or any other distracting gimmicks (although a newly released version has a screwdriver in the handle). It’s a knife, and it is just about the best knife I’ve used. When something is this good, why change it? 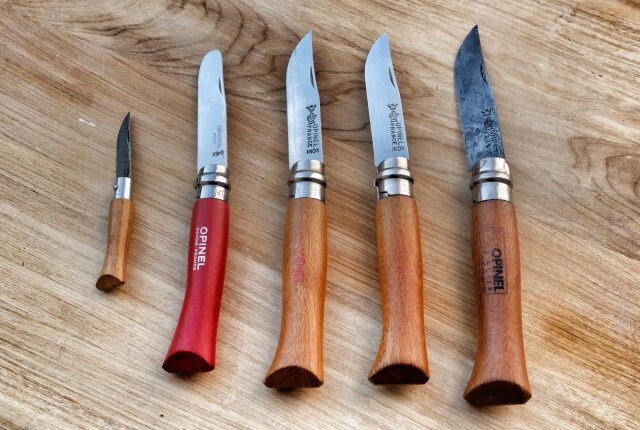 An Opinel has several essential parts. There’s the blade, which comes in carbon or stainless steel. Then there’s the shaped handle, which is almost always beech. Finally, there’s the locking mechanism, which keeps the knife locked open or closed and pretty much makes it as easy and safe to use as a fixed-blade knife. To start with, I love this knife for its looks. Who wouldn’t be drawn to the curved blade, the sculpted wood and the neat little collar lock? It probably didn’t hurt that I was given it during a visit to France, where I used it for cheese and fruit and bread every day. But hidden inside this traditional design is a great knife. Let’s start from the handle and work forward. The beech handle of the Opinel is flared with a fishtail at the back, and has a slot where the blade lives when it’s not in use. The handle’s main feature is that it’s comfortable to hold and doesn’t slip in your hand. After owning one a little while, you might want to rub a little mineral oil into the grain to protect it from water and keep it looking beautiful, because the polyurethane varnish will eventually wear off. That fishtail serves two more purposes. One is that the flare keeps the sharp tip of the knife hidden when folded, while exposing the length of the blade’s spine to let you open the knife. The second is something called the le coup du savoyard, which is a neat move where you tap the tip of the knife on the table (a rustic farmhouse table is best) to eject the tip of the blade and make it easier to open. That ring twists to make sure the knife will never fold up when you’re using it. The ring might be the cleverest part, despite its simplicity. The inner ring has a rod running through it (and through the handle) that forms a hinge for the blade. The outer ring slips around the inner ring. When open, a slit allows the blade to open and close. When twisted closed, the slit no longer lines up with the blade, and a diagonal cut on the top edge lets you turn the ring until it is tight against the blade. The same action keeps the blade locked closed when the knife is folded. The lock ring is what makes the Opinel so useful. Once opened, it can be used as a regular kitchen knife without fear of it folding up on your fingers. And that’s a good thing, because the blade is sharp. Carbon versus stainless: They’re good for different things. I have both, and really they’re all just as sharp as each other in everyday use. The inox versions typically cost a little more, so you might consider that, but given how cheap these knives are, it doesn’t really matter. One final comment on the blade. That little notch that’s meant to help you open the knife is really there for one thing: to destroy the weak, manicured nails of non-peasant city slickers. If your blade is too tight, pry the edges of the inner lock ring apart a little with circlip pliers and then use the le coup du savoyard to open the knife. I keep an Opinel in my bag at all times, and I have another next to the kitchen table, plus various others scattered around the place (my touring bike’s handlebar bag, for instance). The knives are good for cheese and excellent for bread and fruits when picnicking, but they are also great in the kitchen. Try an Opinel on onions, shallots, scallions or garlic. The thin, sharp blade makes slicing them easy. 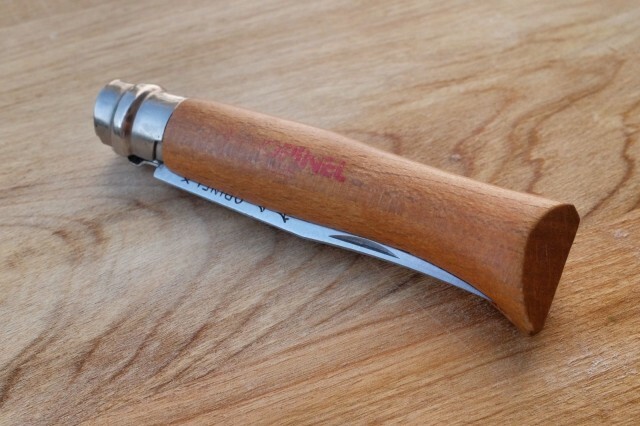 If you’re planning on using it primarily for cheese and butter, you might consider the Kinder Opinel, aka “my first Opinel,” a model sold in Germany for use by children. Aside from the awesome fact that German kids can be trusted with such sharp knives, you will like this variant because it has a rounded tip, and it’s better suited to spreading than the traditional pointy tip. Then again, that tip can be handy. Outside, I’ve used it to dig glass from my bike tire treads and to (slowly) bore a new hole in a leather belt. Inside, it’s great for skewering bits of melon to eat without getting your fingers sticky. Ready for action at all times. There’s not much more to say about the Opinel. Not about its use anyway. Like any object with such a long history, there is surely plenty to be written about its pedigree and tradition. But I don’t care as much for that as I do for the fact that this amazing tool beats out most modern alternatives — and does so while looking awesome. That said, I’m a sucker for a good story. I had to buy a new Opinel in Tunis, Tunisia, a couple years back because I couldn’t bring my own in my carry-on luggage. I bought the replacement from a fishing store, and it came with a big ugly belt pouch, upping the price to something nearer to $40 than the approximately $15 I’m used to paying, but I paid the price because I needed that knife – fresh fruit from the market was the best way to get my vitamins without risking salad poisoning in a restaurant. This is all to say that I didn’t want to leave the knife behind when I went home, so I packed my backpack (this Ortlieb) with the knife set inside from front to back. That is, when the bag was laid down on the conveyor taking it into the airport X-ray machine, it presented a tiny circular cross-section to the viewer, and I got to bring my knife home. Interestingly, the folks at Charles de Gaulle airport in Paris seem wise to this trick. They flip some of the bags onto their edge before they go through the machine, presumably to thwart sneaky travelers. That time, though, I’d packed my Opinel in with my Brompton as checked luggage. If you need a multitool, look elsewhere. 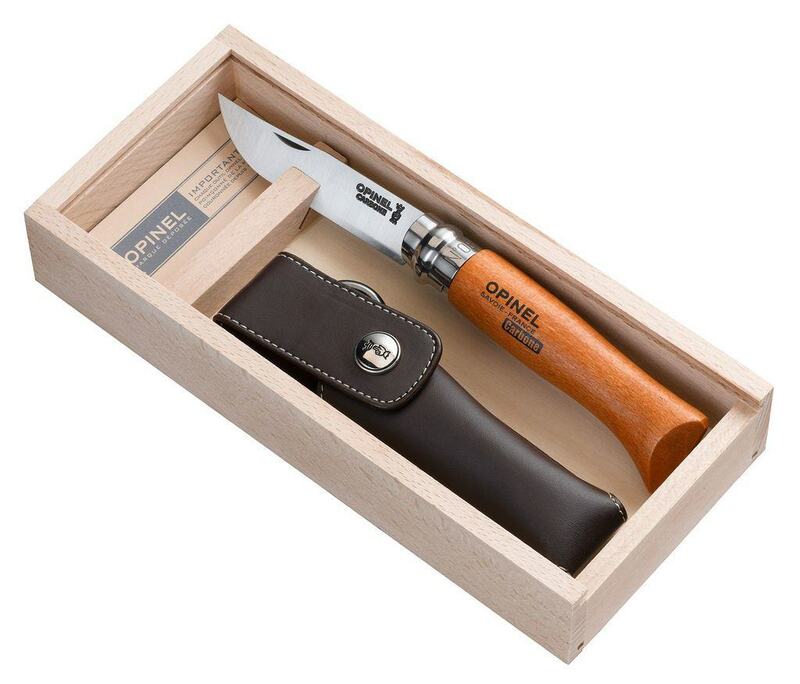 But if you want a knife that will last a long time, and that you can use on a camping trip or whip out at a restaurant when they forget to bring you a steak knife, then buy the Opinel. It’s the best. The good:Safe, beautiful, a joy to use. The bad: Watch that fold — it could slice your fingers open. The verdict: The best all-round pocket knife out there.